Technology leads to nonlinear growth I am delighted to participate in the inauguration of Commonwealth Science and Technology Academy for Research at Chennai. I am happy that this Academy has the objective of facilitating quality research in large number of engineering institutions in the country and also develops standards for evaluation of quality research over a period of time. This is an important area requiring attention since there is a direct correlation between research and quality of teaching in every institution. I congratulate Prof. Kalanidhi, Dr. Rajan and all the founding members of C-STAR for creating this new venture on the mission of research. My greetings to all the participants of this function. When I am in the midst of this audience, I would like to talk on the topic "Positive environment needed for quality research". Last week, in Delhi one student by name called Anand came to me, along with his parents. I would like to share with you, what impressed me when I heard the student. Even though he got a higher percentage more than 98%, instead of opting for Engineering or medical according to his parents wish, he opted for taking Physics as a subject and wanted to do research. Typical scenario prevailing today is, predominantly students who get higher percentage of marks would opt for engineering and medical as a first choice and also as per the wishes of the parents, then the rest of the group will opt for arts and science colleges. But here is a student who has opted for science, more than that his parents blessed his desire and allowed him to take up B.Sc (Physics) as a foundation course to pursue his research career in Physics. Like that I met one student at Ireland, he was a BE(computer Science) Graduate from Sethu college of Engineering from Kariapatti, southern part of Tamilnadu, and now doing nano science and technology research in nano composites and materials at Ireland. I asked him what inspired to take up research instead of opting for a career in IT as any other students. He said, it is his passion for research, amidst of all the opposition from his parents and peers. Such individual need to be located and encouraged as a part of C-STAR initiative. We need to empower the students at the school level to decide on their choice of subject based on their interest, not based on their parents interest. For that research-teaching-research should be the focus in institutions and universities. 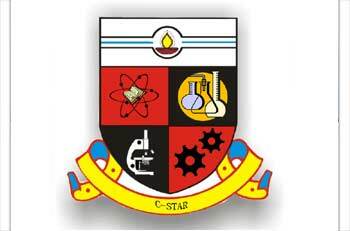 I am confident that C-STAR initiative will promote quality higher education coupled with Research. During the last two years, I have visited and interacted with students and faculty members of 30 foreign universities (16 in America, 8 in Europe and 6 in Asia) apart from many Indian universities. During these visits, I found that all these universities are concentrating on research. For example, Waterloo University, I saw a solar powered car developed by the students which has been driven in many parts of the world. The Black Berry is the product coming out of Waterloo research. Carnegie Mellon University had developed a robotic car which has participated in an International Competition. Arkansas University and Rice University have realized a solar photovoltaic cell using carbon nano-tube in the laboratory with 50% efficiency against the present 20%. The research and development in these universities has enriched the quality of teaching and the quality of teaching is enriching the research and development. Wherever I went, I saw that research teaching research each is re-enforcing the other. These unique innovative activities symbolize how the research tasks at the undergraduate level education in association with the research scholars, industry and academia enriches the engineering education as a whole. I am sure the intervention proposed by C-STAR will facilitate such quality research by our engineering institutions and the society as a whole will benefit. Also this will facilitate improving the ranking of India in the global competitiveness index. How do we promote research? While preparing for this programme, I was trying to find few colleges in the country which are now known for quality research. I am told by one of my friend that he has come across four colleges where they are in the mission of conducting quality research and development. They are RV Engineering College, Bangalore, PSG College Engineering and Technology, Coimbatore, Vellore Institute of Technology, Thapar University, Patiala and the SASTRA University at Thanjavur. When I analyzed the causes for such performance, it became very clear that the professors namely; Dr. IC Sharma, Dr. P. Radhakrishnan, Dr. Tathyawarta Rao, Dr. Abhijit Mukherjee and Prof. Vaidyanathan were individual responsible for promoting excellence in these institutions. I would suggest C-STAR may like to study this observation and evolve criteria for promoting excellence in research in other institutions spread across the country. Keeping these aspects in mind, I would suggest C-STAR to promote two key characteristics which all research institutions must possess: Value of Science and Scientific Magnanimity. I was reading the two volumes of the book titled 'The Big and the Small' from the Microcosm to the Macrocosm written by Dr. G. Venkataraman. In this latest book, author establishes fascinating link between particle physics and cosmology in two volumes. Since I am in the midst of Scientists and Technologists, I thought of sharing with you an incident narrated in the book about Sir CV Raman. Raman was in the first batch of Bharat Ratna Award winners. The award ceremony was to take place in the last week of January, soon after the Republic Day celebrations of 1954. The then President Dr. Rajendra Prasad wrote to Raman inviting him to be the personal guest in the Rashtrapati Bhavan, when Raman came to Delhi for the award ceremony. He wrote a polite letter, regretting his inability to go. Raman had a noble reason for his inability to attend the investiture ceremony. He explained to the President that he was guiding a Ph.D. student and that thesis was positively due by the last day of January. The student was valiantly trying to wrap it all up and Raman felt, he had to be by the side of the research student, see that the thesis was finished, sign the thesis as the guide and then have it submitted. Here was a scientist who gave up the pomp of a glittering ceremony associated with the highest honour, because he felt that his duty required him to be by the side of the research student. It is this character that truly builds science. It is indeed a message to research guides. Let me discuss with you a characteristics of another great scientist. Now I would like to narrate an incident which took place during a function conferring Nobel Laureate Prof. Norman E Borlaug, a well known agricultural scientist and a partner in India's first Green revolution, with Dr. M S Swaminathan Award, at Vigyan Bhavan, New Delhi on the 15th of March 2005. Prof. Borlaug, at the age of 91, was in the midst of all the praise showered on him from everybody gathered there. When his turn came, he got up and highlighted India's advancement in the agricultural science and production and said that the political visionary Shri C. Subramaniam and Dr. M S Swaminathan, pioneer in agricultural science were the prime architects of First Green Revolution in India. Even though Prof Norman Borlaug was himself a partner in the first green revolution, he did not make a point on this. He recalled with pride, Dr. Verghese Kurien who ushered White Revolution in India. Then the surprise came. He turned to scientists sitting in the third row, fifth row and eighth row of the audience. He identified Dr. Raja Ram, a wheat specialist, Dr S K Vasal, a maize specialist, Dr. B. R. Barwale, a seed specialist. He said, all these scientists had contributed for India's and Asia's agricultural science. Dr. Borlaug introduced them to the audience by asking them to stand and ensured that the audience cheered and greeted the scientists with great enthusiasm. This scene I have not witnessed in our country before. This action of Dr. Norman Borlaug, I call it as "Scientific Magnanimity". Friends, if we aspire to achieve great missions in life, we need Scientific Magnanimity to focus the young achievers. It is my experience that great mind and great heart go together. 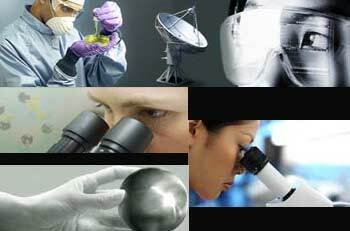 This Scientific Magnanimity will motivate the scientific community and nurture team spirit. The experienced members of the scientific community should cultivate the characteristics of value of science and scientific magnanimity which will go a long way in motivating youth to carry out quality research. Friends, you can see, how great scientist through creation of value of science and scientific magnanimity have created an environment to nurture scientific research and inspire the scientist in many institutions. Along with this, I would suggest C-STAR to bring out periodically a document on research challenges the solutions of which will enrich the life of people in the country. Ultimately, C-STAR should create a Virtual Environment for collaborative learning and collaborative research where seamless knowledge is generated, shared and disseminated. I used such a Multimedia studio environment when I was the President of India to interact and collaborate with the academic and research institutions in India and abroad. 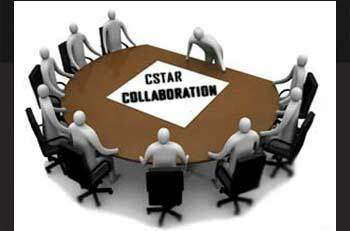 C-STAR should create a C-STAR Research Knowledge network for promoting Research in Academic institutions. I am giving few macro examples which will need to be amplified through micro research areas. 1. In the energy sector, increasing the solar photovoltaic cell efficiency from the existing 15% to 45% using composite as a base with Carbon Nano Tube is an important research challenge. Scientists in reputed laboratory in the world have established the fact that the alignment of the CNT with the polymer composites substrate is the key issue and this aligned CNT based PV cells would give very high efficiency in photovoltaic conversion. The polymer composites increase contact area for better charge transfer and energy conversion. In this process, the researchers could achieve the efficiency of about 50% at the laboratory scale. The intensity of research in Indian research institutions have to be enhanced to realize commercial production of CNT based Photovoltaic cells. This research will make an important impact towards energy independence. 2. India has to go for nuclear power generation in big way using thorium based reactor. Thorium, a non fissile material, is available in abundant in our country. Intensive research is essential for converting thorium for maximizing its utilization and generating electric power through thorium based reactors. 3. Proteomics is the study of all the proteins expressed by the genome of a cell. It is the logical extension of genomics. Proteomics helps to understand the basic biological processes critical to normal cellular functions as well as the development of diseases. It identifies the essential components of these processes and exploits these components as targets in the development of new methods to prevent or treat diseases. The proteomics programme is done nationally. The type of work involved is huge and challenging, and much bigger than the Human genome programme. There is national programme in proteomics. This has to be given thrust with cooperation of International Scientific community. 4. There are many research and development and testing of vaccine are progressing in the country for prevention of HIV/AIDS disease. It is indeed a big challenge for life science scientists to have an integrated vaccine development leading to production of anti-vaccine HIV/AIDS in three years time. 5. In many places in our planet, we experience severe earthquakes resulting in loss of life, loss of wealth and in some cases it destroys the decades of progress made by the country and its valuable civilizational heritage. India has earthquake problems periodically in certain regions. During my recent visit abroad, I found serious research in Iceland, Ukraine and Russia by young scientists. It is essential India has to work on mission mode research for forecast the earthquake using multiple parameters using precursors such as pre-shock conditions, electromagnetic phenomena prior to final rupture and atmospheric and ionospheric anomalies. 7. The quantum of rainfall in a particular area for a particular cloud condition within a specified duration is not being determined by the present monsoon prediction system. In addition there is a need for global monsoon research for determining intensity and quantum of rain with a particular cloud condition through a validated prediction system with detailed research. With this system scientists should be able to predict, how much rain will fall in a given period through the use of Polorimetric radar. 8. Technologies needed for sustainable development particularly in the rural sector. With these words, I inaugurate the Commonwealth Science and Technology Academy for Research. My best wishes to all the participants of this function success in the mission of enhancing the quality of research in our colleges and thereby the quality of technical educational programmes which is vital for national development.